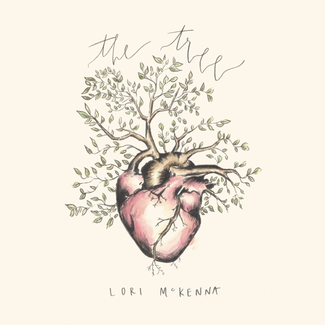 The Tree, the anticipated new album from Grammy, CMA and ACM Award-winning singer-songwriter Lori McKenna, will be released July 20 on CN Records via Thirty Tigers and is now available for pre-order. In advance of the release, the album track, “People Get Old,” is premiering today (listen/share HERE). The Tree is McKenna’s eleventh studio album and second in collaboration with Grammy Award-winning producer Dave Cobb (Chris Stapleton, Jason Isbell, Brandi Carlile). Recorded by Matt Ross-Spang over seven days at Nashville’s historic RCA, the 11-song album features McKenna (vocals, acoustic guitar), Cobb (acoustic/electric guitar, mellotron), Anderson East (electric guitar), Brian Allen (bass), Chris McKenna (mellotron), Chris Powell (drums, percussion) and background vocals from Kristen Rogers, Natalie Hemby and Hillary Lindsey. In celebration of the release, McKenna embarked on “The Way Back Home Tour” this summer. The headline tour kicked off June 29 at Annapolis’ Rams Head On Stage and includes stops at City Winery venues in Boston, New York, DC, Chicago and Atlanta as well as Philadelphia’s World Café Live and Nashville’s CMA Theatre among others. McKenna will also join Alison Krauss on two tour dates in Ohio this June. See below for complete details. Additionally, McKenna continues to enjoy tremendous success as a songwriter. In 2017, she became the first songwriter to win back-to-back Best Country Song awards at the Grammys since Shania Twain in 1999-2000 with her solo-penned, No. 1 hit “Humble & Kind” following 2016’s win for “Girl Crush” (co-written with Liz Rose and Hillary Lindsey). McKenna also won Song of the Year for “Humble & Kind” at The 50th Annual CMA Awards and became the first songwriter to win the award in consecutive years since Vince Gill (1991-1993) and the first female songwriter to win back-to-back nods in the history of the CMAs. Moreover, she made history at the 52nd Academy of Country Music Awards becoming the first woman to be awarded Songwriter of the Year. McKenna’s current songs include Carrie Underwood’s lead single, “Cry Pretty,” written with Liz Rose and Hillary Lindsey. 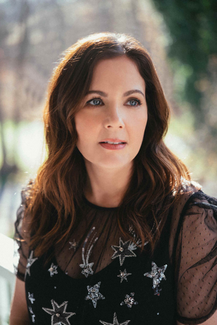 Find the most current Lori McKenna tour dates from our partners at Country Music On Tour, your trusted country concert ticket source! Country Music News Blog participates in advertising programs that help fund the operation of this site. For more information please visit our privacy statement. This entry was posted in Lori McKenna, New Music, Press Releases by Shauna "WhiskeyChick" Castorena. Bookmark the permalink.